During a recent kitchen renovation of a 172 year-old structure that was a barn in its former life, an odiferous discovery was made. As the carpenters sawed through the joists and beams, a strong cow urine smell wafted up. The powerful aroma had been trapped inside the wood fibers all these years, just waiting to be released and remind us that cows once lived here. In 1840, Ezra Eames built this barn to house the cows at the farm that marched up Pigeon Hill in Rockport, Massachusetts. An enormous hayloft on the top floor stored the hay for the bovines in the winter. The farm existed for a bit less than a century. At some point, the farm house, field worker house, apple pressing house and barn were all sold off separately. 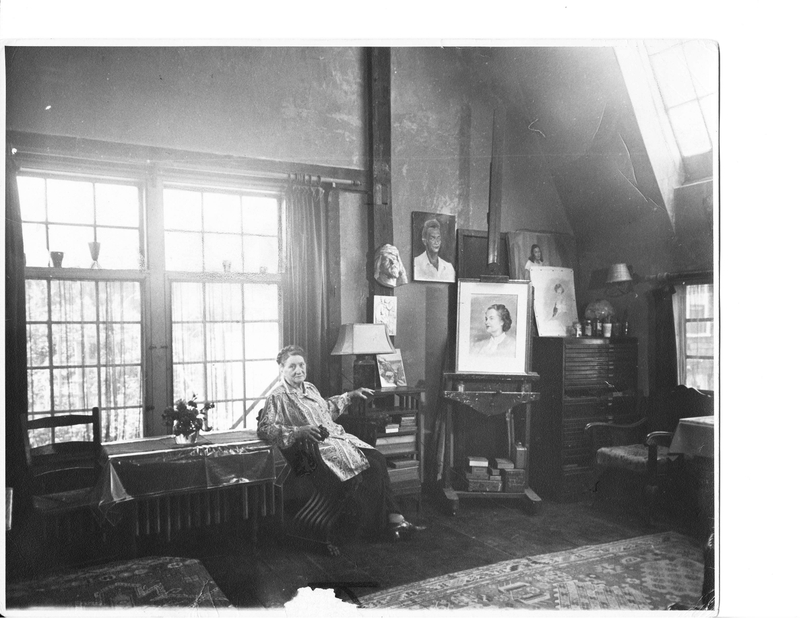 Sometime in the late 1930s, Justine D. Ferris, a retired business woman and artist from Boston, came upon the barn and had the extraordinary vision to realize the barn could become her home and studio. She drew up the plans for the transformation herself. Justine had previously worked at both Harvard University and the Office of Public Welfare in Boston, but now was looking to immerse herself in art. 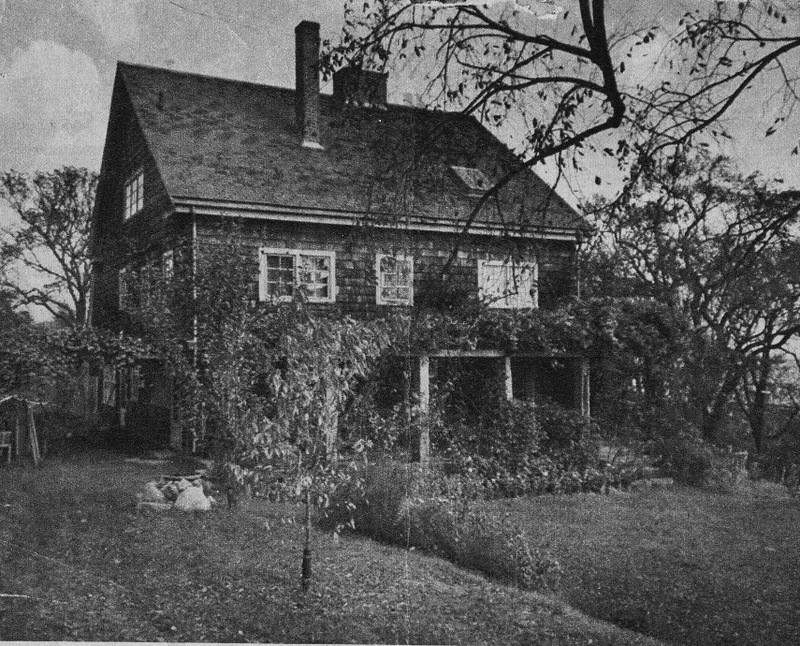 In 1957, The Boston Globe featured an article about Justine and her remodel of the barn into artist studio and living spaces. From the dusty cow barn, she created a duplex, splitting the building in half, one side for her studio and living space and the other for rental. The space Justine created for her studio is two stories with exposed beams throughout. She bumped out the existing space seven feet complete with gambrel roof lines. She also put in a huge northern facing skylight. Northern light for studio space is thought to be best as it casts no direct sun shadows. Unfortunately, old studio skylights are notoriously leaky and lose heat in the winter. The skylight was removed during a later owner’s renovation, leaving behind visible ghost marks on the wall where the skylight used to be. But despite the subsequent alterations, the studio’s character remains intact. The room is still flooded with light from both North, West and East. 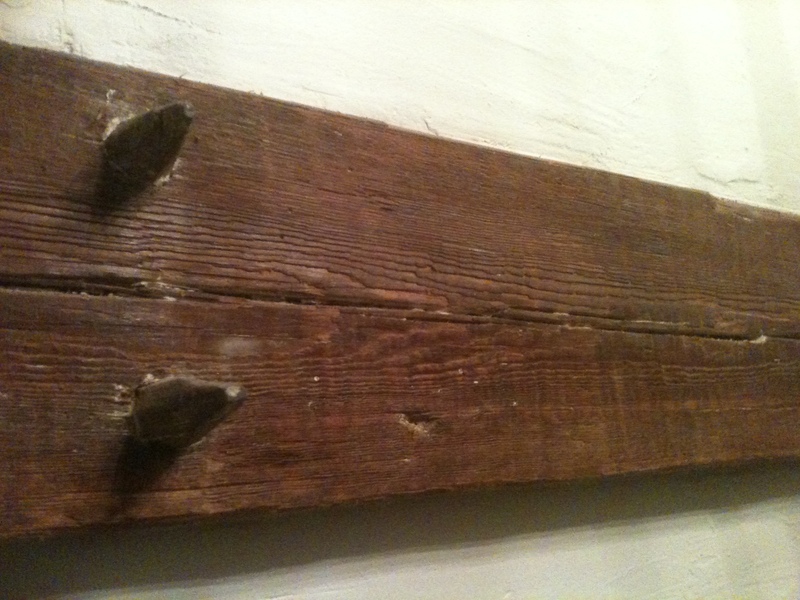 Exposed beams from the 1840 post and beam construction were painted olive green at some point by a later owner. The paint has been recently stripped and the warm wood beams now catch your eye as they run through the white rough plaster walls. 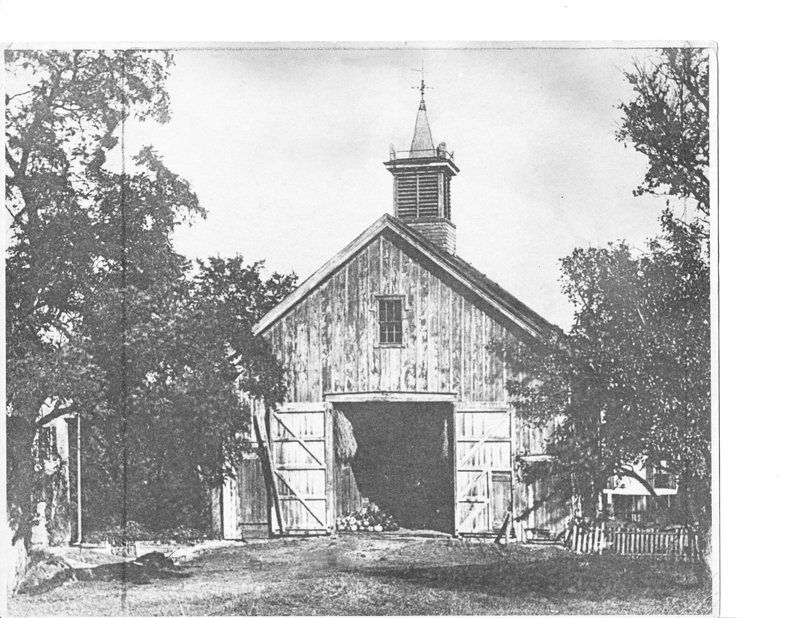 The dowels used to pin the barn together during its 1840 construction are still visible. The soaring two story interior remains dramatic, unlike many of the old cavernous studios in Rockport that have had second floors inserted after the buildings ceased to be used as studio spaces. The exterior stone curving staircase entrance that Justine had built for her clients’ visits still graces the northern side of the building. 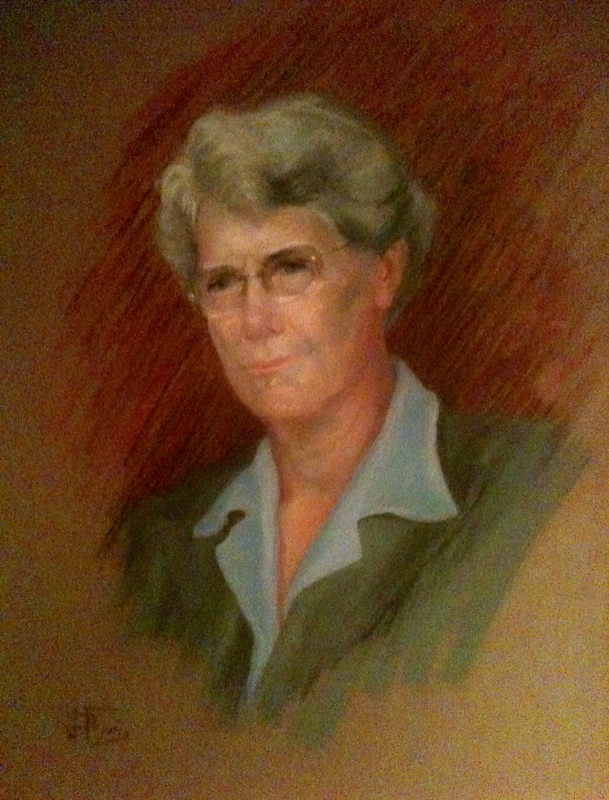 While Justine’s paintings are difficult to find, a good friend did recently find a portrait of an unknown woman signed by Justine D. Ferris. Two fellow artists penned a two-part poem about Justine’s life entitled “A Medley of Melody to Justine Ferris,” dated September 16,1947. In the ode to Justine by fellow artist Ruth Berry, she references the studio and barn, “. . . The studio still a magnet is / That draws us all together / From days of yore to Rockport shore / In rainy and fair weather.” The other author of the poem Mariam Tibbetts speaks about Justine’s renovation of the barn: “Soon out of beam and loft and rubbish pile / The barn uprise into stately hall / With Lady Elm sweetly straight beckoning at the garden gate / And the star-set skylight welcoming all.” The elm is now long gone, probably a victim of Dutch Elm disease, but the beams and loft remain. Although the two-storied studio ceiling and living room do indeed rise upwards to eighteen feet, some poetic license was taken with the “stately hall” line. This old barn near the bay has transitioned from bovine shelter to artist studio and now re-purposed home. This old artist-colony studio may yet have another budding artist in its future. Cows, probably not so. How wonderful that Justine Ferris was so far ahead of her time in terms of turning a barn into a space for humans. And how amazing that cow pee has such lasting power! Thanks for sharing this bit of history. As for the house today — the gardens and stone beckon. And who knows what artistry or “innovation” will develop as a result of living in this historic home. 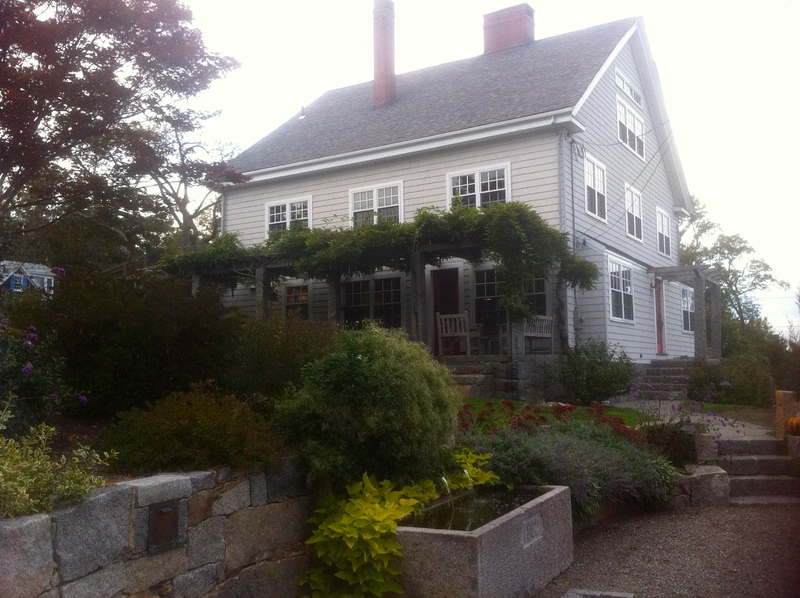 I always enjoy learning about the history and evolution of such wonderful old structures on Cape Ann. And it’s reassuring to know that in this case, the history is well-recorded and the building intact! Very lovely! How did I miss this early posting! This wonderful old structure is in the right hands. Thank you for this. This beautiful house already hosts an artist, maybe two! Fascinating story. Love your posts; your writing is exquisite! I have Tibbets in my ancestry on my mother’s side. My mom was a Rockport native. Hmmmmmmmmmmmmm …. Thanks for your blog. I just adore it.